If you’ve been working out for a while now and have been looking for ways to more rapidly increase muscle growth, then you’ve probably come across creatine. It is an incredibly popular gym supplement, especially for those athletes looking to bulk up in size. However, does this mean it’s the right supplement for you? Most people know creatine as the fine white powder you can pick up at most gyms and supplement stores. But you might be more surprised to learn that it is, in fact, a substance that is already found naturally in the human body. It is stored in your muscle tissue, ready to be used for moments when the muscles are exerted more than usual. It is stored as phosphocreatine and becomes synthesized during workouts that are high-intensity, allowing you to perform better. This can be for anything from running to swimming, though it is most widely known in the bodybuilding community. As a supplement, creatine commonly comes as creatine monohydrate and is used to stop up the level of creatine in your muscles. Taking creatine in supplement form can be useful for all kinds of athletes. 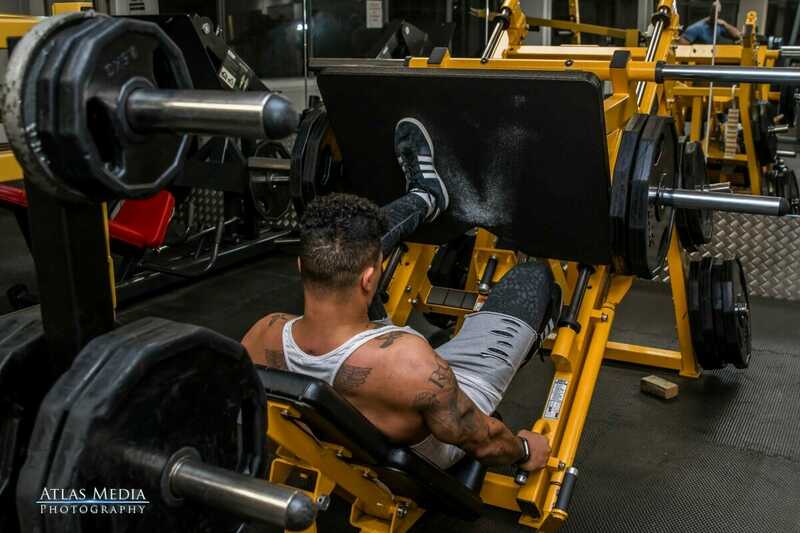 Within the bodybuilding and weightlifting community, it can actually be used by almost anyone. If you are just starting out and looking to increase your lifting capabilities and endurance, then it’s worth a try. Similarly, if you’ve been exercising for a long time, then creatine can be useful to add to your daily list of supplements. However, it should be pointed out that creatine is not designed for use once every now and then. You first need to go through a loading period (which is discussed in more depth later on). If you wish to benefit from creatine, then you will need to take it every day for an extended period. Without getting too scientific, the primary function of creatine is to provide your muscles with an immediate source of energy. In turn, the muscles can workout for longer and at a higher level. Allowing you to more quickly see benefits in muscle growth and eventual size. This makes it a great supplement for all kinds of athletes, and bodybuilders in particular. 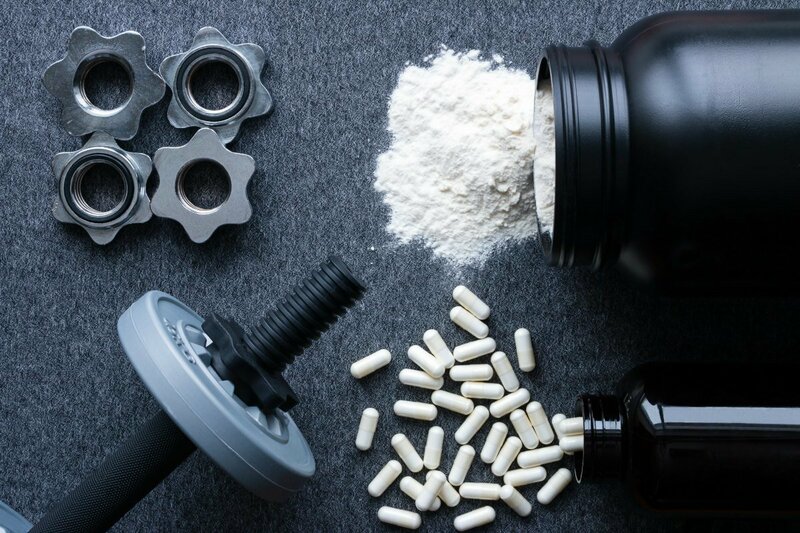 A common reason why athletes take creatine with their post workout meal is because of the effects it can have on helping to reduce muscle recovery times. It is effective in reducing muscle inflammation and cell damage. A study from 2002 (source) that tested the added effects of creatine, found that it can act as a powerful neuroprotectant. Essentially, it can improve your brain’s ability to combat and overcome a number of neuro disorders. It won’t turn you into the Einstein at the gym, but it’s a nice added benefit to be aware of. What different types of creatine are there? As creatine has grown in popularity, there have been more and more types and brands of creatine entering the market. However, it is the oldest and most thoroughly tested form of creatine that is most effective. That is powdered creatine monohydrate. It is possible to purchase varieties that are taken intravenously or that come with other additives. But be aware that there is no proven scientific evidence that these are more effective at digesting creatine monohydrate in powder form. This includes effervescent creatine and liquid creatine. Neither one will lead to faster absorption into your blood or higher uptake of creatine into your muscles. Like all supplements, there is the risk of experiencing side effects once you start taking creatine. The most common is weight gain. Many athletes find that they start packing on a few extra pounds once they regularly take creatine, though is usually only as long as they keep taking it. Other reported side effects include muscle cramps, higher risk or pulling muscles, stomach issues and dehydration. Of course, this is not to say that everyone will experience these side effects. In fact, those who do experience side effects often find that they occur due to taking creatine for very long periods of time above and beyond their recommended allowance. If you are concerned about any side effects, then it is best to stop taking creatine and discuss these with your doctor. What’s the best way to take creatine? There are two ways to take creatine. The first, called loading, occurs when you take relatively higher amounts of creatine until your muscles are at maximum creatine absorption levels. After this, you can then continue with smaller doses each day. The alternative is to take smaller doses of creatine over a longer period of time. Which would amount to weeks instead of days. The most effective way of rapidly increasing your muscle creatine stores and keeping them that way is the first approach. The recommended dosage would be to take 0.3g per kg of bodyweight each day. You do this for between 5 and 7 days, at which point the muscles will reach a saturation level. Thereafter, you’d take a smaller amount each day to maintain levels. Say you weigh 70kg. So you would need to take 70 x 0.3 = 21g of creatine each day for 5 to 7 days. You’d probably do so with 4 x 5.25g doses a day. After that, you’d take 3 to 5g of creatine to keep creatine stores topped up. What do you take it with? Research has been shown that it is most effective to take creatine alongside something that increases your body’s level of insulin. This is because the insulin has been found to mediate the creatine. In order to do this, you need to increase your blood glucose levels, and this is done when you take food or drink that is high in fast-acting carbohydrates. Perhaps the easiest solution is to take your creatine alongside a high carbohydrate drink, such as fruit juice. Alternatively, you could opt for a large meal that is high in both protein and carbohydrates. Try to go for a ratio of around 50 to 80 g of carbohydrates alongside 30 to 50 g of protein. What time of the day is it best to take creatine? There is no set time at which you should take creatine each day. However, one of the most popular times is immediately post-workout. This is so you benefit from the muscle recovery properties of creatine. Also, by consuming a large carbohydrate and protein meal, you replenish energy stores and give your muscles protein to grow. Initially yes, taking creatine can cause you to put on a small amount of water weight. However, this is usually only temporary, and is there whilst your body adjusts to the creatine intake. After a while, these effects should go away. After this, creatine itself shouldn’t cause you to put on weight. However, the enhanced endurance your muscles have should allow you to exercise harder, benefit more from increased muscle gains, and thus put on weight that way. As long as you take creatine within the recommended daily allowance, there is no evidence to suggest that it is unsafe. Athletes first started taking creatine almost 60 years ago, and it became a widespread supplement in the 1990s. Studies that have taken place on patients of all ages taking creatine have not observed any long-term side effects. However, if you do have any personal concerns, then you should consult a doctor before starting to take it. Does creatine simply lead to short-term fluid retention? This is perhaps one of the hottest talking points around creatine. Many have shunned the supplement for years, claiming that it does little more than increase fluid retention in the body all the while you are taking it. Well, a number of studies have taken place to try and prove or disprove this and the general findings are that this argument is wrong. Yes, as you take creatine, the total quantity of water in the body does go up. However, it does so in accordance with how much you should take on as muscle mass goes up. Muscle is roughly 73% water. So as you put on muscle mass, you should naturally take on water as well. Studies have also found that those taking creatine long-term, also see a healthy rise in non-water based weight gains. The important thing to be aware of with creatine is that it’s not a magic supplement that allows you to suddenly pack on loads of muscle and size. That is not its purpose. Instead, it is designed to be taken by those weightlifters who are serious about long-term strength gains and improvements in the gym. By boosting your body’s store of creatine, you will find that your muscles have increased endurance, in turn allowing you to push yourself incrementally harder. If you are going to start taking it, then you should do your research and create a clear plan of how much you will take for how long. Once your loading phase is up, you will then need to continue taking smaller doses every day. If you are a member of Ultimate Fitness Birmingham, then we recommend you come in and speak to a member of our staff next time you’re in. We can discuss creatine in a little more depth and answer any more questions you have. We also stock a range of creatine supplements, so can help find one that suits your needs and budget.